When I was five or six, I started writing letters to my brother Johnny, whose 34th birthday would be today. I wrote them in a scented purple hardcover diary with a lock and key. Sometimes they just said, “Dear Johnny, I love you!! !” in huge penciled swoops. Sometimes they were poems. When I was a little older, maybe ten, I would clear the books and Barbie clothes from the Rainbow Brite blanket my mum sewed and ask him to visit me. He sat, always in the same spot, at the foot of my bed. I talked to him, sometimes out loud, sometimes in my head. I asked him if he was an angel or a ghost, and if he was an angel was he very high up, like Michael (aka John Travolta), or was he just regular. And if he was a ghost, did he haunt any place other than my bedroom, or did he wander around all over the world? And if it would be okay for him to be my guardian ghost. We never met Johnny in the flesh, but I know that Andrew, Jane and I each secretly thought he'd be our closest friend. 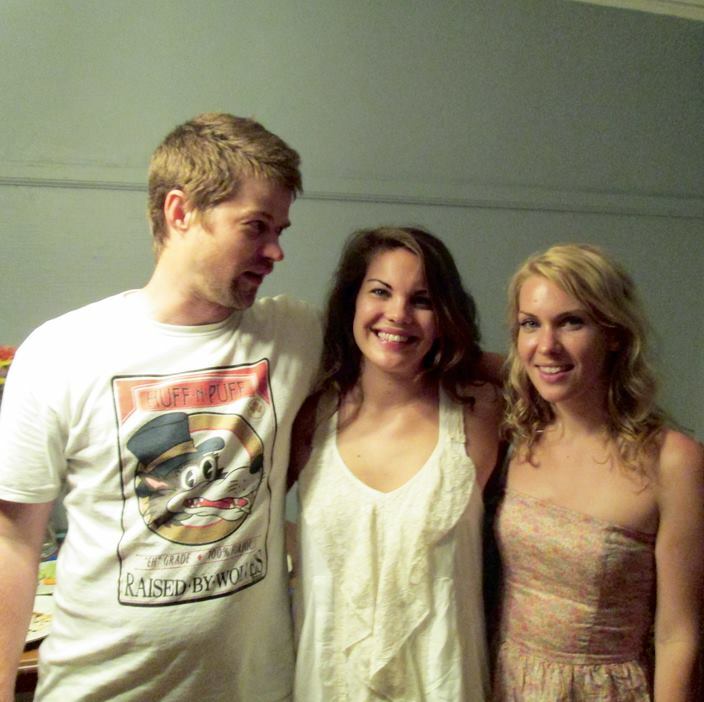 But in the end it just made me more grateful for my siblings, whose cool talent I've spent my life trying to emulate. Andy-roo and Janie, I love you brilliant, genius weirdos so, so much. The longer I live a border away, the more homesick for you I get. Thank you, mum and dad, for having the strength to make Johnny a real and present part of our family. I can't imagine the pain of losing him. Author Ann Ward (Center) with living siblings Andrew (left) and Jane (right).